What? There's nothing to install and no documentation needed because you don't have to do anything apart from run the executable. It's literally unzip, change to the pico8 directory and run. So for the sake of not wanting to (for some reason) do that, Zep would have to maintain a DEB package for both 32-bit and 64-bit, a RPM package for 32-bit and 64-bit, a Raspberry Pi package and still provide the plain old package you're complaining about for those who don't have distributions based on the above? @kittenm4ster - yeah I did the same :) But that's all that's necessary and even that isn't really required. No... linux is pretty free about what you do with your executables. Some distributions of linux offer a package manager, which makes installing applications with lots of files a bit easier, but the PICO-8 is so simple that it isn't really required. On most linux systems, You simply put the executable somewhere like /opt/pico-8 or /home/[user]/bin and add it to your PATH, and you are ready to go. For systems which provide a rich desktop experience, kittenm4ster's instructions further up are great. What @springogeek - this is a pointless complaint. Also, just as an FYI, the desktop file above goes in $USER/.local/share/applications. I've added a category to mine so it appears in the right place in the menu. Let's be friendly here. Lexaloffle games seem friendly, so I'd expect the users to be slightly more sociable than the usual internet trolls who hide away from people's faces. Saying that Linux — GNU, rather — has a “proper way of doing things” seems rather out of place, but the initial complaint was more or less a valid, albeit obtuse, one: the person had no idea that the binary executable wasn't an installer, or something. Sounds like maybe some documentation is in order — even if some users think it is obvious, it obviously isn't. Also, it should be noted that not all desktop environments do their menu items that way. I know Xfce is different, but I can't remember how it goes. The information is on their wiki somewhere. Cheers, and hope you enjoy Pico. unzip PICO-8 zip file to preferred location. Make sure pico8 executable has execute bit set - chmod +x pico8. Additional example for *.desktop launcher file for those that need/want it. I mean, for that you absolutely don't need an installer and I'd personally like to choose where PICO-8 goes on my system anyway. I'm quite an inexperienced Linux user, running Lubuntu on an old Samsung netbook a friend handed off to me. Is it maybe a permissions error? When I double click pico8, it asks if I want to execute, so I say "Execute! ", then that error appears. Not really sure how to make it just work! Seems really silly after using the Windows version, where you literally just click the exe and you're good to go. I don't have a config file in my folder, do I need to make one? 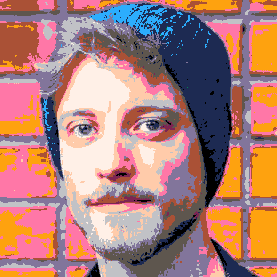 I figured a default one would get made by PICO8 if it didn't find one I guess. Not really sure how to get it to run on Linux. Hmmm. Ah, actually I just figured it out. I had downloaded the 32-bit version for Linux, and that simply wasn't working on my Samsung netbook. So I grabbed the 64-bit "AMD" one, and that worked straight away! I am very confused as to what that means. That looks like a shell script error, which is definitely not expected when running a binary executable. How are you running it? I've tried using the command with and w/out "sudo"
AFTER i've tried "chmod +x pico8" with and w/out "sudo." I just don't know what else to do. You don't need sudo here. Yep, that's ARM. The Linux versions of P8 are x86 and x86-64, so you won't be able to run them directly. You could try using QEMU. You'd have to set up an x86 Linux virtual machine and run P8 in that. Or maybe install Raspbian and run the Raspberry Pi version? That might be simpler, but I'm really not sure. Chromebooks are ARM, yes. @DatChickenGuy did say he was running some sort of beta Linux thing, but I'm pretty sure that's just a chroot environment, no emulation. Turns out I can download QEMU, I just don't know how to use it. I've looked at the user documentation, and it is just confusing.